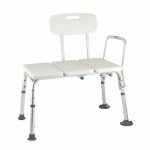 Provides a raised seat to assist in toilet transfers. 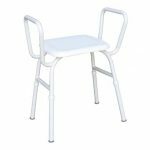 Ideal for those with hip or knee injury – fully height adjustable. 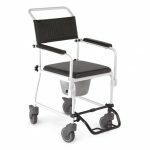 Supplied with both lift up seat and lid and removable splash-guard. Rubber non slip tips on feet for added security. Zinc treated to prevent rusting and powder coated mild steel frame for added strength. 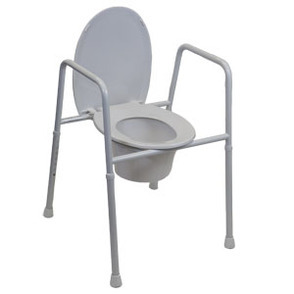 Commode Bowl available as optional extra. SWL 125kg.